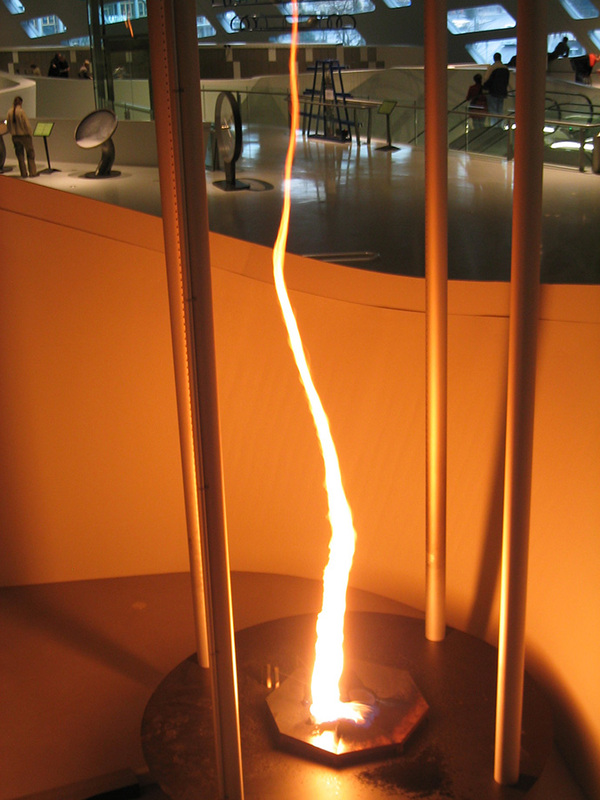 Suspended in a dark atrium of the museum, a series of fans and blowers creates a 20 foot (6 meter) tall vortex of swirling fire. 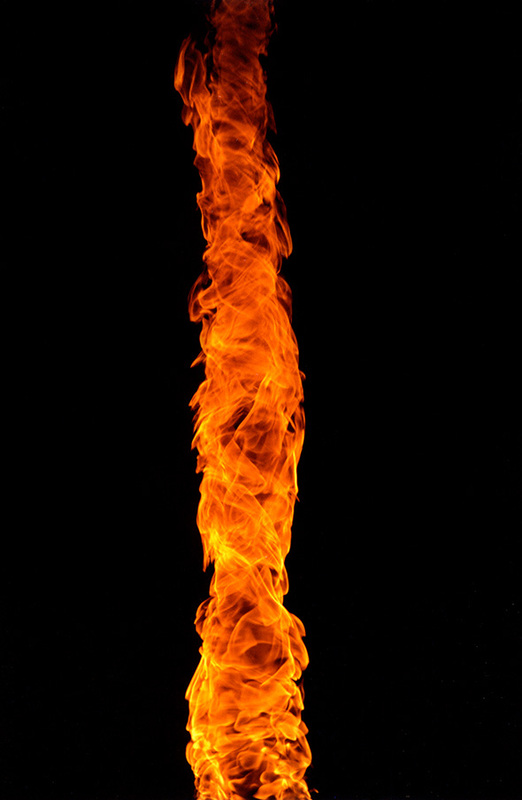 The vortex forms over a pool of burning kerosene. The flame spirals up through the spinning outer core of the vortex, leaving a hollow calm in the center. The serpentine motion of the vortex is constantly influenced by air currents in the museum. Visitors view the vortex from the safety of a balcony, but they are still close enough to feel the heat and hear the rumbling sounds that it creates. 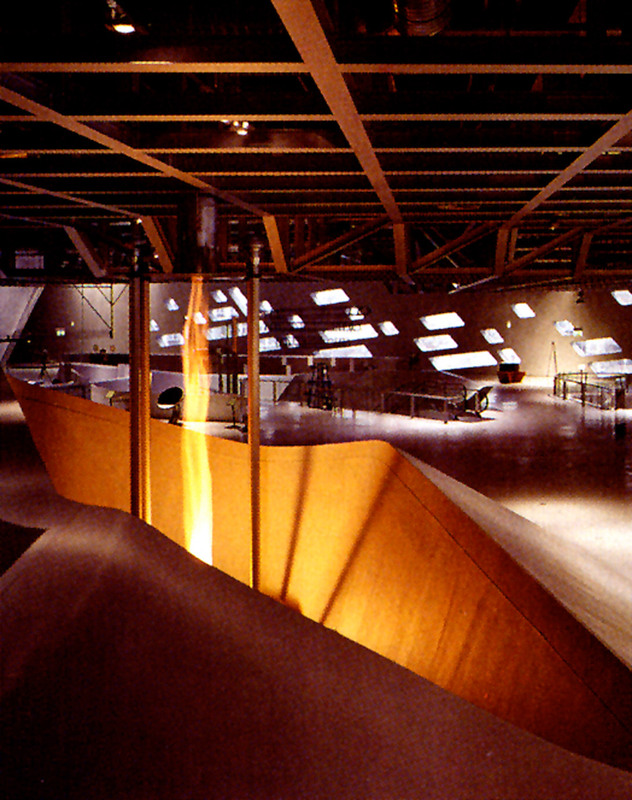 Completed in 1997.